Yoga has so much to offer in the way of practice – poses for strength and poses for flexibility; sequences that stimulate and flows that calm; breathing techniques that heat you up and those that cool you down; focusing skills that help you concentrate and meditations that allow you to expand…In the span of a week, one can tailor their practice to include all these areas so that by the end of seven days you are well-balanced to start the next week. One great way to finish off your week is with the practice of Yin Yoga (you can practice yin with me on Thursdays and Sundays at 9:15 am!). Sometimes referred to as “the quiet practice”, Yin Yoga has become a wonderful complement to more active styles of yoga. 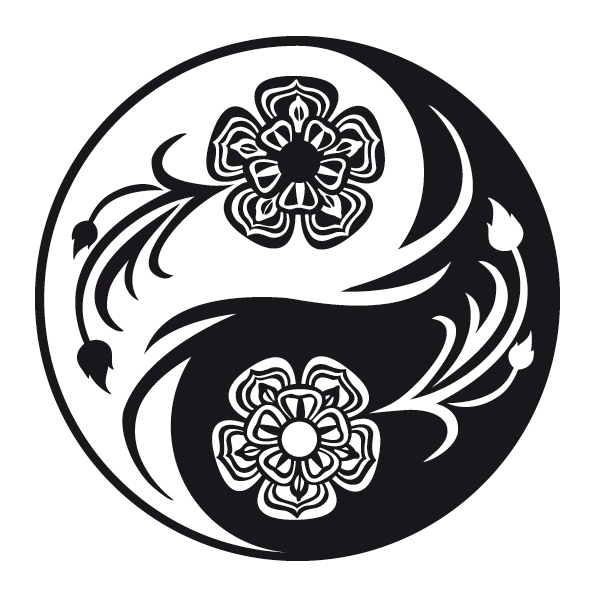 In the context of yin and yang (contrasting dualities of existence), yin is slow/passive/inward/cool while yang is moving/active/outward/warm. Yin Yoga is done with little movement and no warm-up, and one is guided to passively release into a pose for an extended period of time, bringing their mental focus inward. This is not a restorative practice – it can be challenging and even stimulating to remain still and work with the sensations that come and go in the body. Our goal on a physical level is to gently bring a traction-like stimulation to the joints and deeper connective tissues in order to bring about a release of rigidity, promote better energy flow, and therefore improve mobility. Sometimes the pose will feel like a squeeze or squish as we lean or fold into it; other times the pose will feel like a pull as tissues are gently coaxed apart. Body sensations can become intense and then they subside…and we learn not to over-react or under-react. The goals on energetic and mental levels are to breathe, to stay connected, to stay present. We breathe through the experience with mindful awareness and of course, with wisdom – knowing what you know and feel of your body (your health situation, your injuries, your current mind-state, etc. ), you are asked to make skillful decisions in guiding your body to its appropriate edge, not pushing beyond that edge. And you always have the choice not to go there at all if this practice isn’t right for you at the time (recent injury, acute health condition, high anxiety, etc.). So there is a huge component in this practice of mindfulness – being very present at all times as a discerning participant and keen observer. All yoga is about finding harmony within oneself – balance in body, breath, emotions, mind..and this balance allows us to connect on a deeper level to one another, and to Spirit. Yin Yoga, as a complement to more active, yang-style practices, offers one more way we can return to harmony.